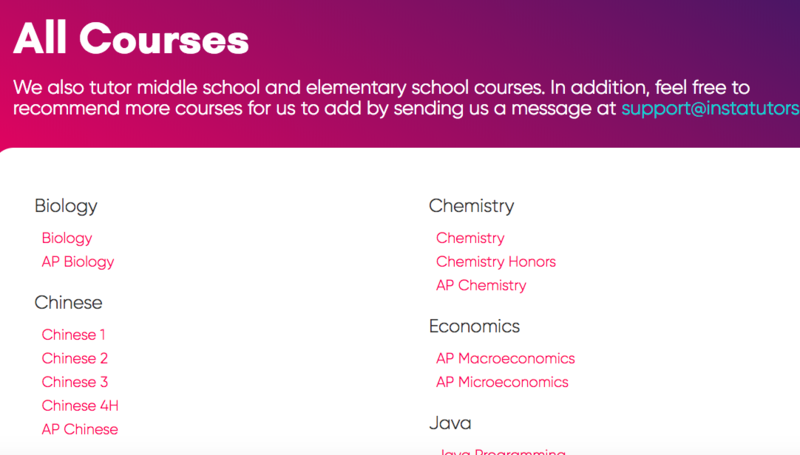 You can request a session for a particular course (i.e. AP Calculus BC, Chemistry, etc. 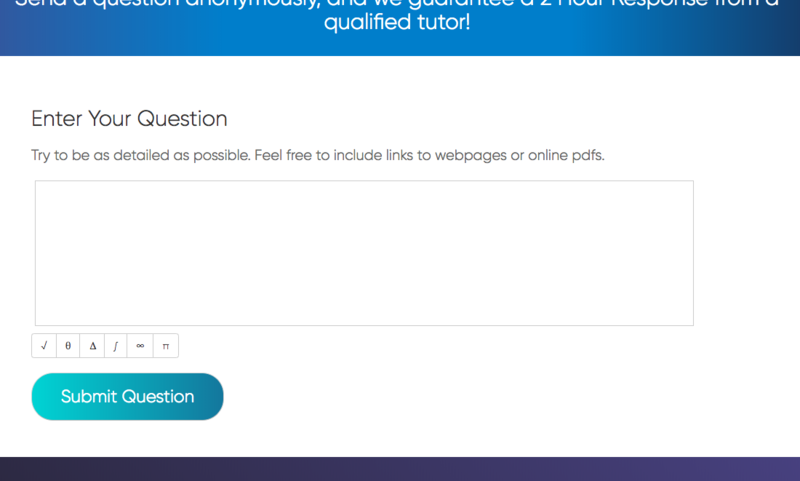 ), and use the "view tutors" feature to match with tutors who can tutor that course! 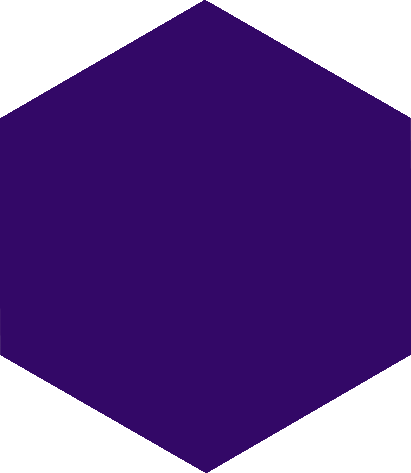 Check out our full list of courses here, and view all our tutors here. We have added a feature that estimates the tutor response time when you are requesting a session based on the subject/course you request, available tutors, and the time of day. 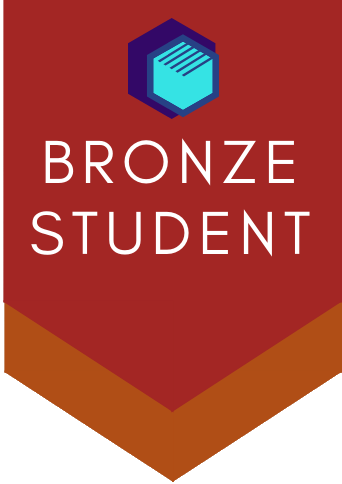 In addition, you can now request sessions 1 day in advance as a Bronze/Silver Level user. We have updated the navigation system to be much more user-friendly and accessible, particularly after users log in. Access your account, ask a question or request a session directly from every page. 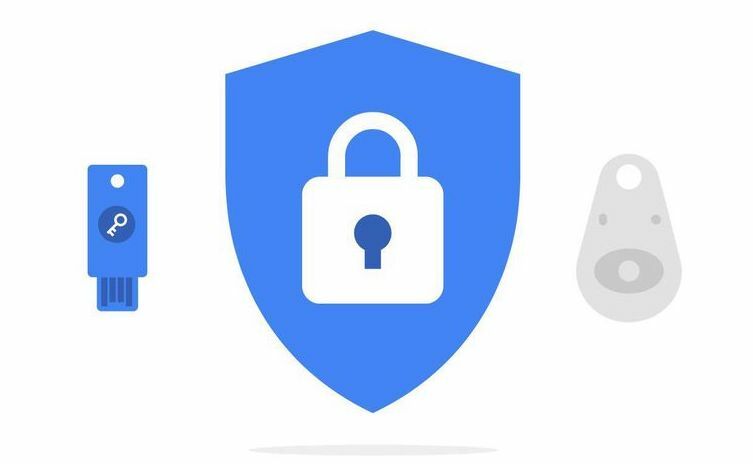 We have locked down our security rules to protect user privacy, as well as re-structured our database to prevent excessive re-directing and improve performance. Overall, most site functions should run much smoother and without as many breaks. Please contact us at support@instatutors.org if you have questions. Otherwise, we hope you enjoy using InstaTutors! Create an Account. Request a Session. Get Tutored for Free. 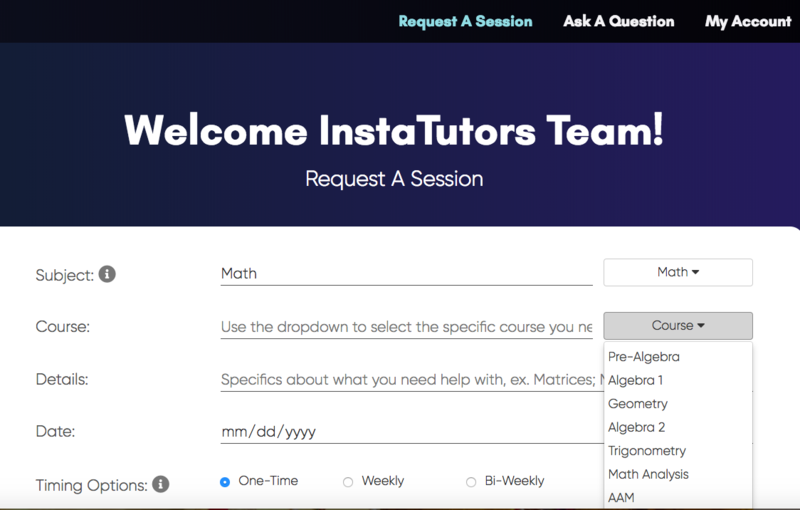 InstaTutors is a platform created by students to help middle and high school students schedule online tutoring sessions with qualified student tutors. All tutoring sessions are held over video chat, and the service is offered for FREE. Our mission is to provide better tutoring solutions to students from any background, anywhere. My first experience with InstaTutors was everything I could have asked for and more. My tutor was very helpful and was able to still communicate proficiently even though my microphone wasn't working. After requesting help on InstaTutors, my tutor responded within minutes. I definitely did get all my questions answered, and if I needed to clarify something, tutor helped me clarify by showing examples. My tutor gave me a very thorough explanation of how to do the problems that I requested to do. My tutor was professional, knowledgeable, and a great hands-on teacher. My tutor not only met my expectations but exceeded them. I would recommend this service to anyone because it allows you to choose a time to study and understand difficult concepts and the time is flexible, so you can always be tutored for as long as necessary for you to understand the concepts fully. 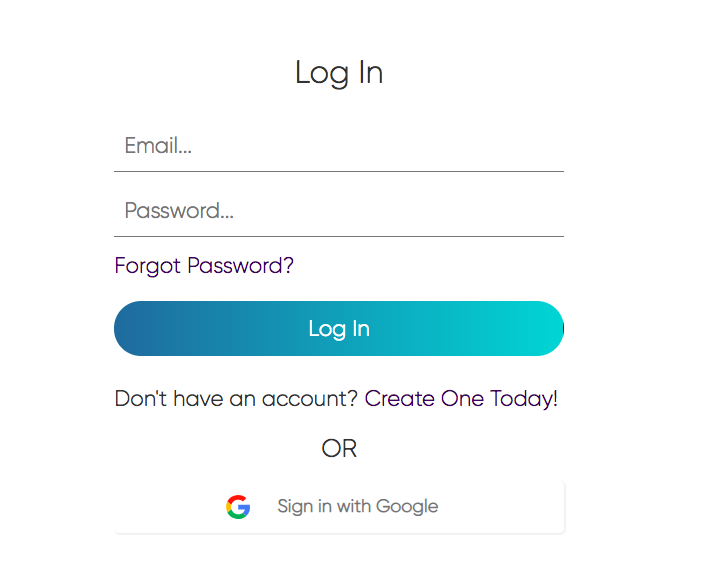 Create an account, and verify your email (or login with a Google Account). You will be prompted to enter some basic information about yourself. Once you're logged in, you can make a tutoring request. Browse all our available courses/subjects here, and use the "view tutors" feature to match with the perfect tutor. You will receive an email when a tutor accepts your request, and your tutor will personally email you shortly after with a link to a private video chat room on appear.in. Simply join when it comes time for your FREE tutoring session! 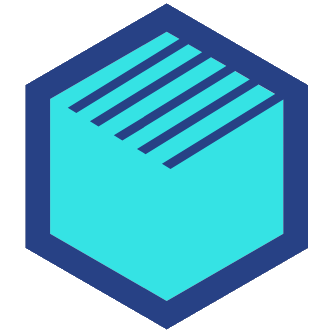 Ask a question in a subject you need help with with our question feature. You will receive a response from a qualified tutor in less than 2 hours, guaranteed! You can check out the answer in the "my questions" section, or your email inbox. You can earn points by attending tutoring sessions and inviting friends to use InstaTutors! 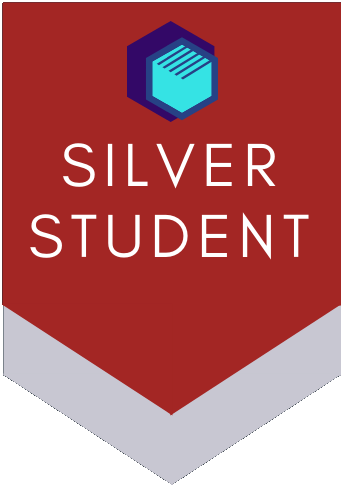 Receive privileges by earning more points, and compare yourself to other students on the leaderboard! If you become a Gold-level student, you will receive a $25 gift card of your choice! Student: How can I solve this Calculus problem? Tutor: You want to evaluate the numerator and the denominator separately. The numerator, when you plug in (-2), evaluates to 16. For the denominator, plug in something close to (-2) from the - side, like -2.01. This will give you a small positive within the √. Thus, with 16/(0 +), you get your answer of +∞. Student: Analysis of a gaseous mixture of NO and N2O shows that it contains 52% by weight of nitrogen. What is the percent by weight of NO in the mixture? Tutor: Simplify it so that you have tan-1 [(x3 /2x2)]. You can get rid of the the 4x2 + 1 and the 7 because they become insignificant once x reaches a large value. From tan-1[(x3/2x2)], you find that the value inside tan-1 approaches ∞, so the entire expression approaches π/2.